Agile Marketing is a hot topic right now, but not everyone is doing it right. Changing the copy or content during your campaign does not make you agile. To be agile, there is a methodology to follow, which allows your marketing campaigns to shift and change faster and easier. 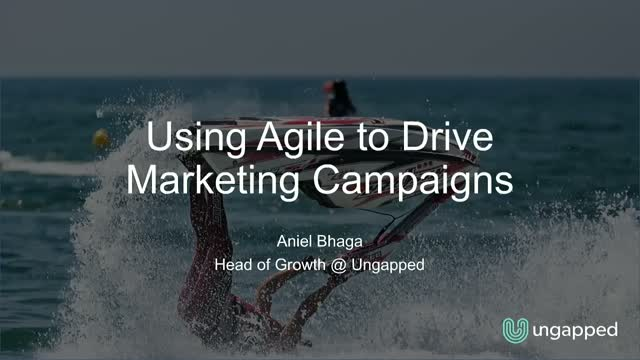 In this webinar, Aniel Bhaga, Head of Growth at Ungapped, will show you how to use the Agile methods to drive your marketing campaigns to a higher level.